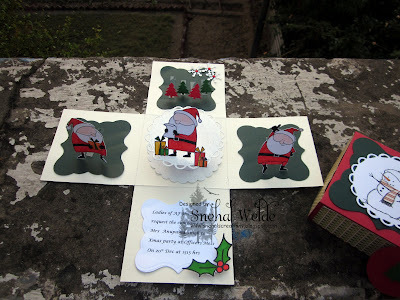 Snehal created a FUN project using Happy Santa set. It's fabulous, isn't it?? I love the lined up Santas!! I can imagine a smiling face of the person who will receive this box. 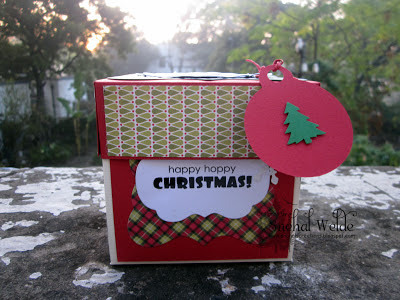 :)　Please visit her blog to see more photos of her project! Thank you for sharing, Snehal! OH this box is Fabulous!!!! I would LOVE to receive something like this!!!! hugs!!!!!!! Wow, this is just brilliant!